MistyStix is an innovative solution allowing dry ice pellets to be placed in drinks without risking accidental swallowing of dry ice. MistyStix is perfect for placing within cocktails or drinks where you desire a smoke effect. Just drop 1-2 pellets of dry ice within the MistyStix holder and drop it into your drink! Make sure dry ice is handled properly while doing so, make sure to wear thick gloves or use a set of tongs when placing the dry ice into the MistyStix. 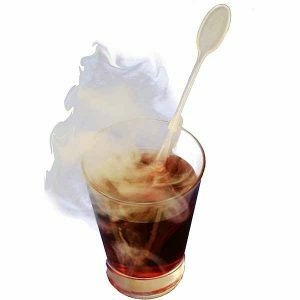 Looking to add a smoke/fog effect to your drink but worried about dry ice potentially coming into contact with your customer? Mistystix are the solution, contact us for more details on how Mistystix can benefit your business!